We have our winner! The Voltage 3950 After walking through more than 50 RVs and formally evaluating 14 of them through the evaluinator. We have our winner! 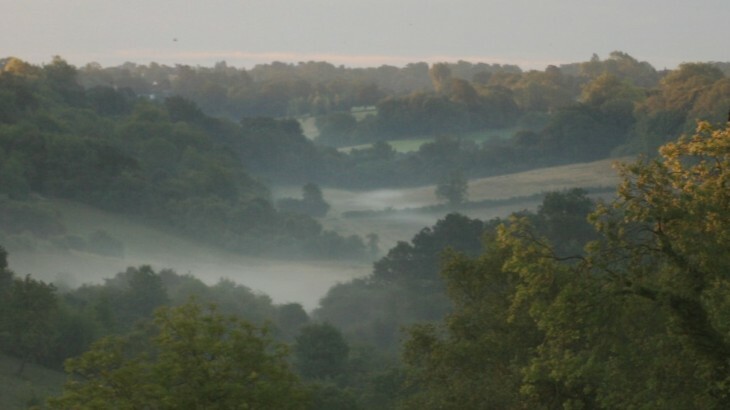 The Voltage 3950. It’s been a busy couple of months. 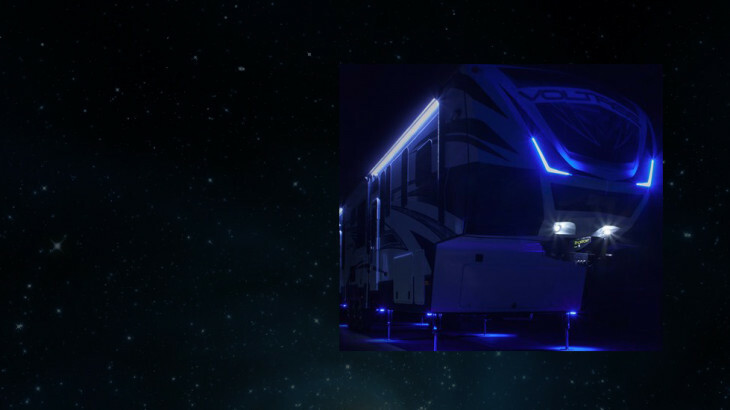 We hit the Houston and Austin RV shows. However, even after visiting two of the biggest shows in Texas we still didn’t see all the brands that were on our list of toy haulers (Road Warrior). RV season is in full swing. 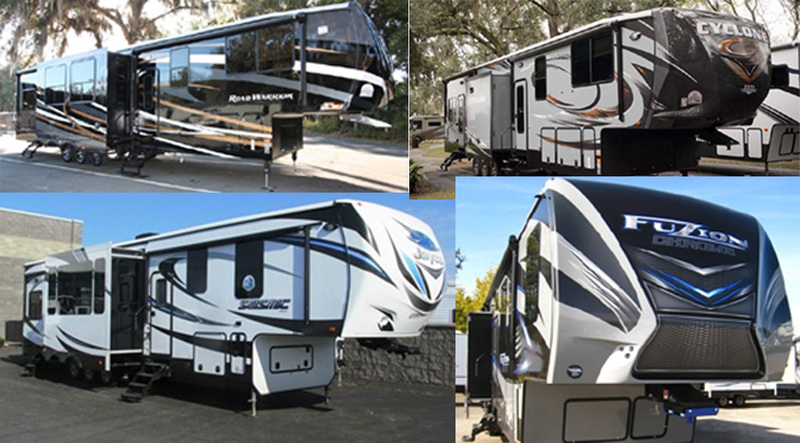 Most of the large central Texas RV shows are happening between January and February. So I put together a comparison chart to highlight some of the toy haulers we’re looking at and the pros and cons between them. 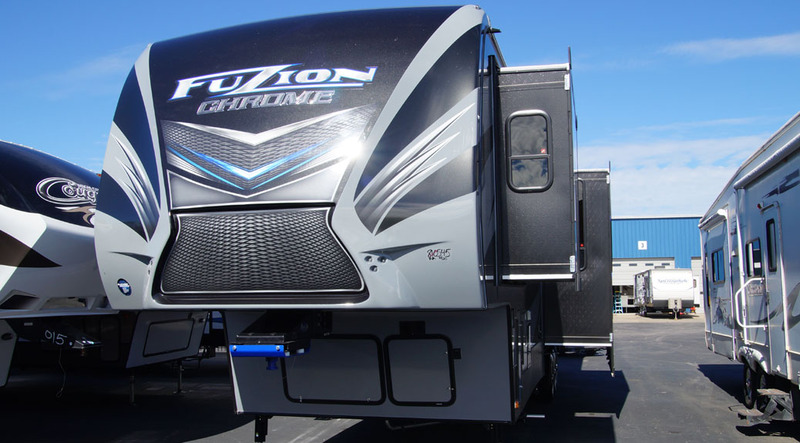 This weekend we looked at the Keystone Fuzion 403 toy hauler. 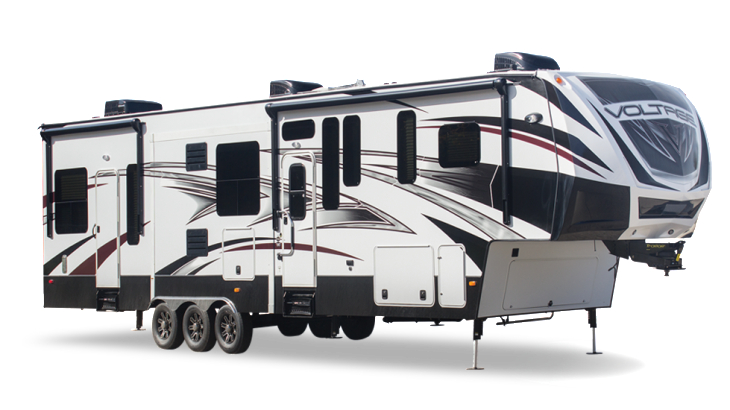 It’s a 43 foot 5th wheel that looks cool and checks off many of our wish list items for our road schooling adventure. Rose Moss on It Works! Rachel Zierzow on It Works!